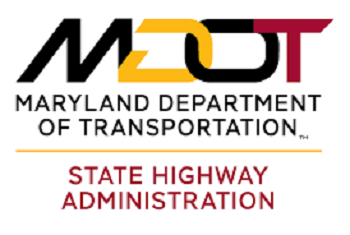 The Maryland Department of Transportation State Highway Administration (MDOT SHA) is tracking two storms that will impact the state beginning later today and again Tuesday afternoon. Crews are pre-treating roads today in advance of the coming storm. The first storm is poised to move across Maryland Monday evening, with most impacts in the north and west quadrants of the state. The second system is forecast to form to the south impacting most of Maryland in time for the Tuesday afternoon and evening commute. An Arctic airmass will arrive as the low-pressure system enters the region, creating a sudden drop in temperatures, which could make snow and ice form on pavement during the afternoon and evening rush hour Tuesday. Any areas that remain wet after the storm departs could refreeze as temperatures are predicted to be the coldest of the winter so far. MDOT SHA recommends that travelers plan accordingly and avoid travel Tuesday afternoon and evening. As temperatures plummet to the coldest of the season, it is critical to have plenty of fuel to prevent fuel line freeze. Motorists should also check over critical engine systems, especially the cooling system. Inspect for any leaks in the radiator and the coolant hoses. Extremely cold weather can exasperate a small issue to a major problem.